Happy September everyone! Pardon my absence this week; Labor Day was indeed a much needed holiday for me. After a wonderful trip to NYC and Connecticut, I’ve returned to the good old Midwest with a fresh take on the latest trends and some new ideas for delicious recipes. Get ready for a fabulous month ahead! 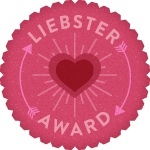 But before I jump into fashion and treats galore, please allow me to extend my sincere thanks to the wonderful Posh to Ganache for nominating me for the Liebster Award. If you haven’t visited her blog, please do – you’ll find another lover of style and sweet things who has great insights to share. Now, on to the Liebster Award! They must also answer the 11 questions the “tagger” has set for them. They must then choose 11 bloggers with less than 200 followers and tag them in their post. I trademarked my own baking business, Just Baked It!, when I was only 12 years old after my step dad tasted some of my baked goodies and thought they’d be a hit on his restaurant’s menu. Luckily, he was right – three other restaurants also carried my desserts until I graduated high school. I am an only child who has never once felt lonely – I have a wonderful extended family and a beautiful relationship with my mother who is my soul sister and hero all in one. I have three pugs: Max, Maggie and Bella. My favorite thing to bake is pound cake of all varieties. They are so versatile and easy to adapt to each season; they are also one of the easier desserts to monitor for consistency. I am a distance runner who ran cross country and track from sixth grade through senior year of high school. I almost ran at Notre Dame (my alma mater), but my body needed a break so I shifted to a more joint-friendly plan of recreational running and cross training. I am a closet karaoke fan. Random things I love: pink peonies, Kelly green and teapots (I collect them). I started my blog to share my love of baking and the art of personal style with a larger audience. Blogging is something that truly makes me happy, so I hope to bring that sincere happiness to my readers. 2. Is there a product you absolutely can NOT live without? My Laura Mercier red tinted lip gloss. I’ve always had naturally cherry red lips, so adding red lipstick had always been overkill til I found a sheer version. I wear it almost every day. 3. Where is your favorite place you’ve ever been to? Aix-En-Provence, France. I hope to possibly live there some day. Took my breath away. 4. If you had to eat 3 things for the rest of your life, what would they be? 5. Is there someone who has had a huge impact on your life or inspired you in a major way? If so, who and how? My mom. She’s the most beautiful person I know, inside and out. She’s managed a fabulously successful career without missing a moment of my life, which I believe is a feat in itself. She continues to inspire me every day with her amazing spirit and compassion. Check out her blog and see for yourself. 6. What an important life lesson you’ve learned? Success comes from picking yourself up once more often than you fall down. Life is full of tests, but the true winners are those who keep the faith, believe in themselves and don’t let the bumps keep them down. Easier said than done, but when I look back on my biggest accomplishments, I realize that all required persistence and a positive attitude that kept me focused on a larger goal. 7. Name a tv show you’ve been hooked on or looking forward to watching. I admittedly have been hooked on Gossip Girl since the show debuted, more for the clothes than for the plot. But I also love Mad Men (the fashion’s not too shabby in that one, either!) and just started watching Newsroom, which I’m really enjoying. 8. What’s the best Halloween costume you’ve ever had? In college, I’d have to say it was an Alice in Wonderland costume. But when I was younger, I made a pretty great Glinda (the Good Witch from the Wizard of Oz). 9. Do you have any major fears? if so, what? My main fear is probably just fear of failure. I’m my own worst enemy sometimes, so I induce my own pressures and stress – it helps to have a mom who balances that out in me! 10. What’s your favorite meal of the day? I know it’s not technically a meal, but my morning Starbucks run is something that, I hate to admit, often lures me out of bed. But in terms of a real meal, dinner is definitely my favorite. I especially enjoy tapas if I’m eating out; I like to taste a variety of smaller portions rather than a big serving of one thing. If I’m cooking for myself, it’s usually some kind of protein and veggies, or, you guessed it, brown rice and black beans. 11. If you were to be cast in a new movie and could choose your supporting actor/actress, who would it be? I’d love to work with Emma Stone. She has such girl next store appeal and a great sense of style. I think Emma Watson seems really classy and intelligent, as well. Either would be such fun to meet! 2. If someone asked you how old you feel, what would you say and why? 4. Describe your style in three words. 5. Name the actress you most admire. 6. It’s 5 o’clock on a Friday. What’s your beverage of choice? 8. What past accomplishment are you most proud of? 10. Name a superpower you wish you had. 11. What would you do with an extra hour of free time? 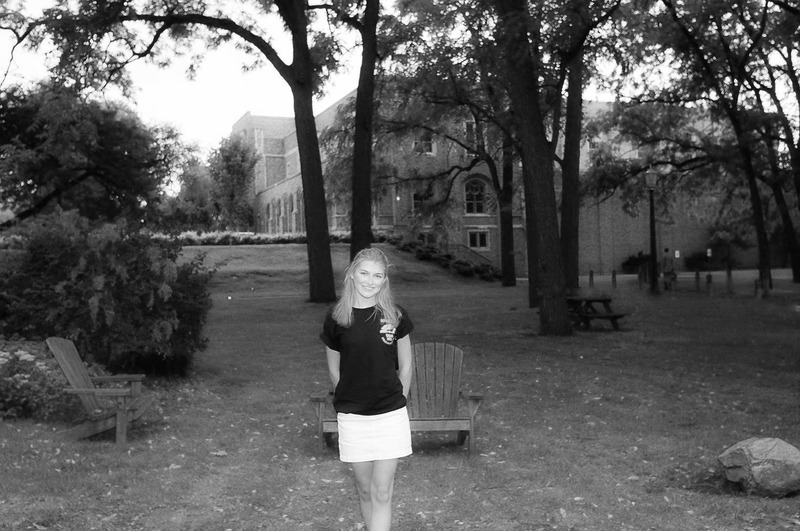 First weekend of freshman year, August 2008. Oh, how I love rainy Sunday afternoons. As I sit sipping my coffee and listening to the soothing patter of raindrops coating the thirsty Midwestern lawns, I find myself in a state of quiet self-reflection. I’m choked by nostalgia, almost painfully so, as I realize the significance of this week. My alma matter is now back in session, and I, for the first time in four years, am not there. Ten thousand students march the quads, my two feet left out of the pack. I sit from the outside looking in, and quite honestly, I miss the view from within. I was warned of this. I was told that college would fly. I was told that each semester would evaporate faster than the last, until one day, the eighth would mark the last. I didn’t believe them. For, no matter how mature for my years, I felt invincible to the passing of time. I was too busy planning my future to stop and fully appreciate the present. Life revolved around tomorrow’s test, next weekend’s party, next month’s job interview – today was taken for granted. But now, I understand the warnings. I understand what they meant by the phrase, college will fly. It did indeed. Here’s to the class of 2016, the talented young people who have joined a new collegiate family. Embrace each day for, “we have only this moment, sparkling like a star in our hand and melting like a snowflake.” It was perhaps the most valuable lesson that came with my degree.